So a press conference is scheduled for Wednesday, June 27, 2017 at the SADDLEBACK MAINE base lodge where according to the Portland Press Herald in attendance will be "the resort’s sellers, Bill and Irene Berry, the future owners of the resort and representatives from Maine’s congressional delegation." This is great news for the Rangeley region. 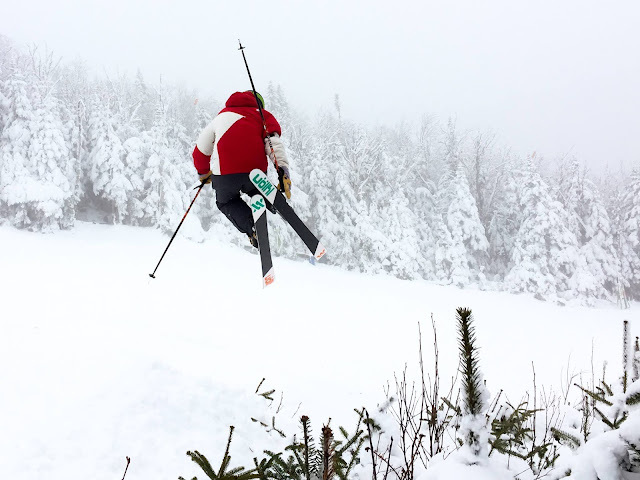 My hope is that the lifts will spin again for the skiers and condo owners, people will be employed again at Saddleback and the Rangeley area restaurants and lodging establishments will be full this winter. It is very likely that the good folks behind the Saddleback Mountain Foundation are not part of the new ownership group. Before it gets lost in the shuffle tomorrow - I want to personally send out a big thank you to Peter Stein and all the people behind the foundations effort. You kept the Saddleback spirit alive during these dark and trying times. It will be interesting to hear the plans of the new ownership group. We will all find out together tomorrow. Maybe, just maybe... this winter will be the start of a new chapter at Saddleback.